Need diesel repair near Cotati? Give the diesel specialists at RPM Automotive Services a call. We have been providing diesel service and diesel repair near Cotati since 1982. Diesel engines are popular for numerous reasons. Diesel engines go farther with less fuel, and diesel fuel has the highest energy density. What does this mean for you? It means more energy per gallon than any other fuel alternative on the market today. Diesel gasoline is even cheaper than premium gasoline most of the time. Notice that your diesel is getting poor gas-mileage? Call our service advisor today, we have multiple diesel specialists that can diagnose why you’re not getting great gas-mileage and repair this issue for you. 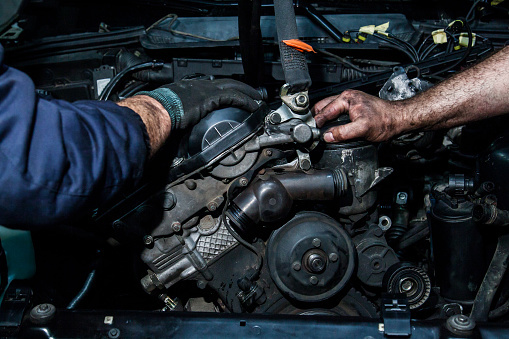 Whether you’re experiencing excessive black exhaust, hard starting, lack of power, or any other issues with your diesel, RPM Automotive Services is your go to team for diesel repair near Cotati. We want your diesel ready to go for all your hauling needs in life. Whether you’re towing a trailer, another vehicle, or work equipment, you need a diesel that will work as hard as you do. That’s where RPM Automotive comes in. Our diesel repair near Cotati is unmatched by surrounding shops. We repair Chevy Silverado’s, Colorado’s, GMC Sierra’s, Canyon’s, Dodge Ram’s, Ford pick up trucks, and even diesel foreign and domestic cars. Looking to build custom tunes for maximum power? We offer installation of HP Tuners, HP Tuners N-Gauge, SCT Tuners, SCT Custom Tuning, Bullydog Tuners and more! To learn more about gaining the maximum power out of your diesel, ask one of our friendly service advisors today. Our shop is a Diamond Certified Rating Service facility, which means you know you’re in good hands when you choose to work with our team of diesel specialists. We offer a spacious kid-friendly waiting area, so if you choose to wait while your vehicle is being serviced, you’re comfortable. We also offer free WIFI, so you never have to miss work. Experience the best of diesel repair when you stop by RPM Automotive Services. Call or schedule an appointment online today!